Behind the buzz words and hype, it easy to miss the fact that consumers are the real disruptors right now. They have shaken off their “automatic” post-World War II grocery shopping behaviour, and are using their own values to redefine modern food production. THE WORD “disruptive” has become a buzzword in today’s culture. Long used in a negative light, it has been adopted in business to describe innovative companies that challenge the status quo with new ideas and new ways of doing business. Of course, this is true in the food sector, where “disruptive” start-up companies are the darlings of private investors and attractive acquisition targets for legacy food companies. To those individuals tasked with modern food production, Kuhn’s idea could easily be used to describe the body blows delivered to the food sector over the last decade. Consumer demands for healthier food, full transparency, sustainable production, and social investment over profit, are just the beginning. 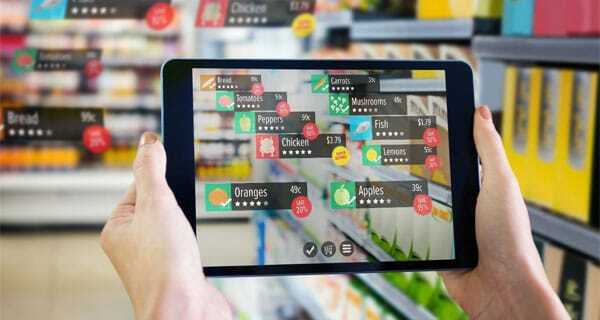 Throw-in the emergence of digital grocery shopping and a turbulent food policy arena, and there have been enough anomalies in food production and delivery to meet Kuhn’s test of a paradigm shift. It has not been easy to identify, catalogue or act upon the myriad anomalies confronting food and agriculture organisations in recent years, but many companies have adopted an “all-in,” strategy to appeal to consumers by developing a values-based operating culture that reflects the values their customers hold dear. Call it enlightened self-interest. They are giving their consumers what they want, and helping to make the world a better place at the same time. Whether-or-not consumers’ trust in modern food production is on the rise is an open question. Ultimately, consumers will vote with their shopping carts, and sales data and shopper satisfaction will be the metrics that define success. In the meantime, let’s get back to Thomas Kuhn for a moment. Clearly, a consumer-driven paradigm shift has taken place in food production, and that shift is also affecting the pre-market trade associations that support food manufacturers, retailers and agribusinesses. Savvy, nimble associations in food and agriculture watched the status quo begin to crumble under the weight of countless anomalies, accepted the new paradigm, and adapted an operating culture that mirrored the changes taking place at their member companies. Others, defined by Kuhn as “hold outs,” cling to the operating model of the past, ignoring the paradigm shift that has taken place around them. What will separate the winners and losers in the food and agricultural trade association sector of the future, is an organisation’s ability to accept the new paradigm and approach their mission very differently than in the past. Engage in robust conversations with consumers and opinion leaders that reflect and amplify their member companies’ conversion to values-based food production. Bolster their intellectual firepower (and by proxy their credibility) by establishing an internal research centre or “skunk works” that identifies consumer, marketplace, public policy and social investment trends, evaluates their impact, and makes recommendations for individual company or collective action when appropriate. Transform their ability to tell industry’s story to consumers by establishing a state-of-the-art communications nerve center that is used to project positive messages to the media and consumers, rather than simply defend against attacks. Seek common ground by developing productive relationships with individuals and organisations that were previously viewed as hostile, because those groups have achieved credibility with consumers. Develop a new framework for public policy engagement that accounts for divergent views among member companies. Create an internal “speakers’ bureau” of internal and external experts to serve as ambassadors, story-tellers and translators who can amplify industry’s commitment to values-based food production. Yes, developing an entirely new value proposition in the face of marketplace upheaval is not an easy task for any trade association, especially those that have proven steady and reliable for decades or longer. Many trade associations are still valued for their expertise and day-to-day services, and many of those functions will need continue to provide value along-side new, innovative initiatives. Whether you define the current food production system as experiencing “disruption” or a “paradigm shift,” the facts clearly show a massive, meaningful transition is taking place in the relationship between consumers and their food. It is also clear that the food trade associations that understand and accept the change and realign their assets to support the “all in” values-based strategy of their member companies will thrive, while those who stick to the status quo do so at their own peril. Authored by Sean McBride, Founder & Principal of DSM Strategic Communications, and formerly Executive Vice President of Communications & Membership Services at the Grocery Manufacturers Association, and as Director of Communications for the American Beverage Association.